A one-stop resource for information on most, if not all, environmental/marine science disciplines. Site features WINDandSEA: The Oceanic and Atmospheric Sciences Internet Locator, where you can access NOAA and external links to all types of web-based information. Site also includes e-journals, numerous maps and modeled data, as well as video from early expeditions. 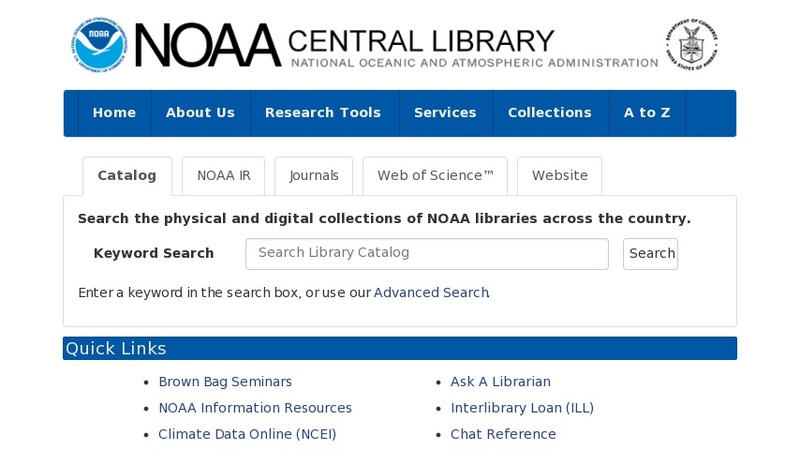 Links to the NOAA websites, photo and chart collections, and history pages.